What You'll Need: scriptures, GAK 507: Brigham Young, GAK 412/GAB 101: Pioneers Walking, baby food jars, heavy cream, pennies, dish towel, coloring page, crossword page, coloring and writing tools. 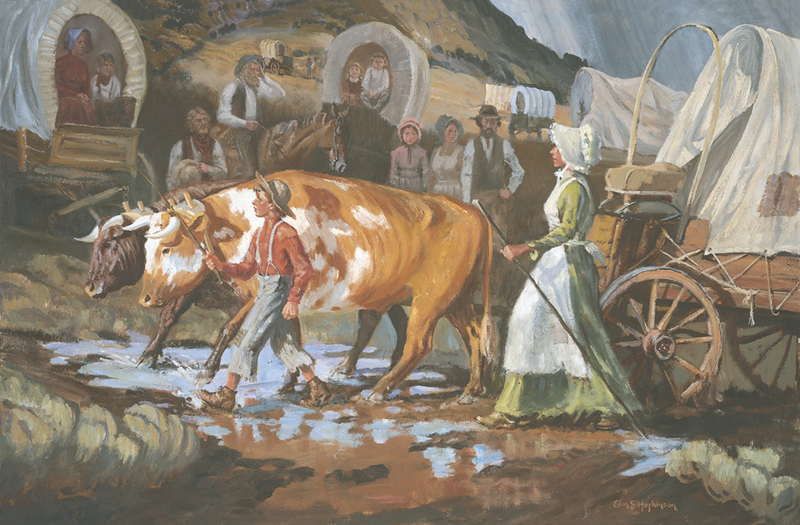 Quote: David B. Haight - As we look at Brigham Young and reflect upon the inspiration and direction that came to that most unusual man, we recall how he was able to...move forward, with the wagon trains crossing the West and into the Salt Lake Valley into what would become Zion. Joseph Smith was the first Prophet of the Latter-days. Joseph established the church, started building Temples, restored the Priesthood and did many other wonderful things. When Joseph Smith died the church needed another Prophet to lead and guide it. 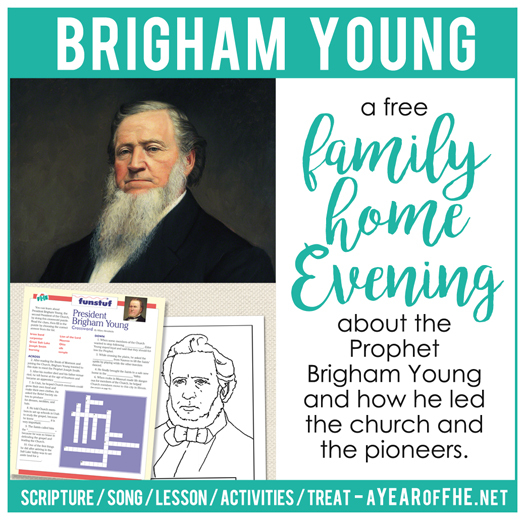 The Lord called Brigham Young as the 2nd Latter-day Prophet. As a boy, Brigham Young was never able to attend school. He had to work on his family farm and help his father do very hard work. He also had to help his mother and sisters take care of the house. Brigham said, "I used to work in the woods logging and driving team, summer and winter....I learned to make bread, wash the dishes, milk the cows, and make butter*...Those are about all the advantages I gained in my youth. I know how to economize (save money), for my father had to do it”. Brigham always worked hard. *You may want to begin your butter making activity now. See Activity section for instructions. 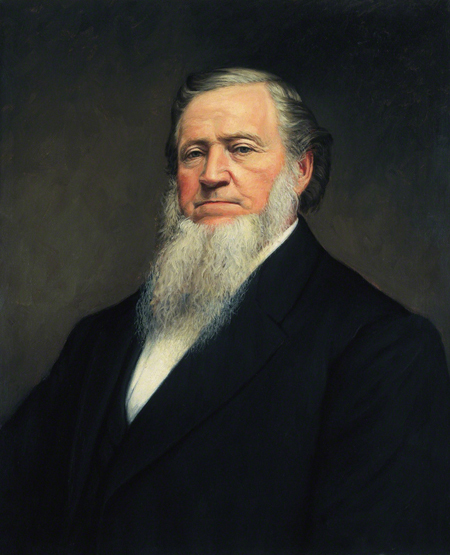 At the age of fourteen, Brigham Young began work for a furniture maker and house painter. He was really good at his job. He was known for the beauty of his stairwell decorations, fanlight doorways, door frames, stair rails, louvered attic windows and, above all—fireplace mantels”. 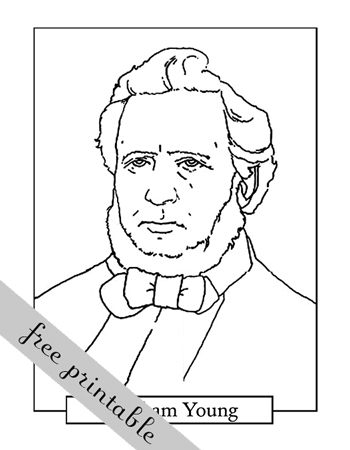 When Brigham was an adult he joined the church and followed Joesph Smith and the teachings of the gospel faithfully. As the Prophet of the church Brigham Young led the Pioneers across America to settle in Utah. It was a very hard trip and many pioneers got sick and died. But Brigham Young had seen a vision of the Salt Lake Valley and knew they had to keep traveling until they found it. After many months of traveling and hardships Brigham Young arrived in the Salt Lake Valley. He was very sick when he got there, but he lifted himself from his bed and said, "This is the right place." Then he pointed to a place where the Saints would build the Salt Lake Temple. he also started to build the St. George Temple and dedicated it when it was finished. He died before the Salt Lake Temple was completed. 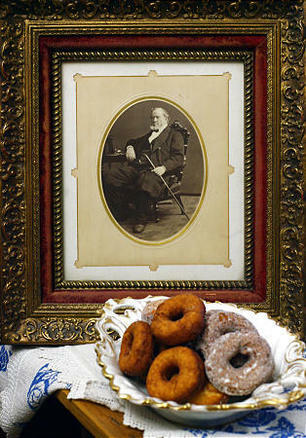 Brigham Young, second President of the Church, was the pioneer leader who guided the Saints west to the Salt Lake Valley. He taught the people to stand for truth and righteousness, to work hard, and to be educated. Bear your testimony about the strength and character that Brigham Young had. You may also share testimony of the Pioneers and their struggles, obedience and faith. Practise Song: If you are teaching your family the JULY Song of the Month, go over the words and music with your family. Brigham Young talked about learning to make butter when he was a boy. Pioneers always made their own butter. This recipe belonged to Emily Dow Partridge Young, wife of Brigham Young. Because there was not a great variety of foods, when something was made it was generally made in large quantities and Grandmother Young's recipe was double this size. You may double the recipe or cut it in half and you'll find the doughnuts are as tender and crispy and delicious as anything made out of a modern cookbook. Nutmeg, incidentally, was the chief spice in the early days and was grated tediously by hand over tiny metal nutmeg graters. - Combine buttermilk, eggs and sugar and blend well. - Beat in sifted dry ingredients. Then stir in melted butter. - Roll or pat dough on floured board about 1/4 inch thick and cut with 2 1/2-inch doughnut cutter. - Fry in hot fat (375° F) till golden brown on both sides. - Drain and sprinkle with sugar as desired. We did this lesson on Monday. We didn't even have time to do anything but the lesson part because my husband got home super late. 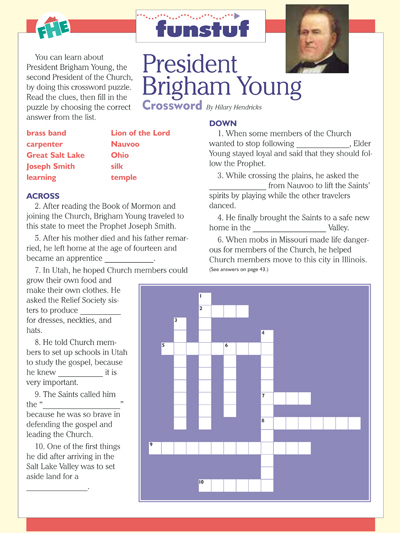 But my three year old really loved learning about Brigham Young! I'm not sure why, but something about him really interested her. My parents came to visit this week, and my daughter told them, "Brigham Young was a prophet after Joseph Smith. He helped the pi-neers go to Utah! And then he helped them build TWO temples!!!" Ha ha, so thanks for a lesson that taught her so much!